In the aftermath of the September 11, 2001 terrorist attacks, hundreds of individuals were arrested without being charged. While most of those arrested were never convicted of terrorism, their greatest vulnerability had been targeted—their status as immigrants, individuals with the vulnerable tag of being outsiders. The defunct Immigration and Naturalization Services were absorbed into one unit named the Department of Homeland Security. Under the Patriot Act and the Real ID Act, the immigrant community was forced to live in fear. Many were deported or disappeared. In this time of darkness, emerged a group of civil rights lawyers, guerrilla lawyers. These lawyers believed in the United States Constitution and were determined to fight for justice. Their faith and allegiance were often questioned, yet none of them gave up. 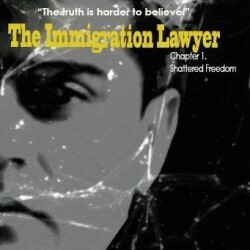 Among this group was a less applauded group, which consisted of those faced with the actual challenge, the implementation of the immigration law and new challenges namely being considered guilty until proven innocent. 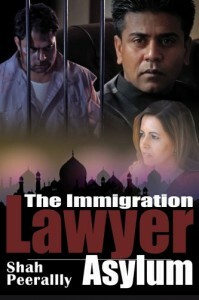 These were the immigration lawyers. They fought for equal access to justice, which should never be decided by skin color, religion, or nationality. This is the story of some of those lawyers and their fight that helped others gain the courage to raise their voices against injustice.